You will find County Kerry located within the province of Munster. The main town in this area is Tralee, but the most significant is Killarney. The Lakes of Killarney are an area of outstanding natural beauty and can be found in the mountainous Killarney National Park. The Ring of Kerry (the Iveragh Peninsula) is a mystical part of the country, perfect for outdoor activities especially cycling, golf, walking and water sports. Also consider a drive around the Ring of Kerry. At 110 miles, it’s a lengthy journey but it provides an excellent opportunity to take in the beautiful views from the coastal road. Cork is the southernmost and largest county and like its rival Kerry is also in Munster. The area is known as “The Rebel County” after the role Cork played in the Irish War of Independence. Ilnacullin (Garinish Island) is a very popular tourist attraction which is known for its natural beauty and scenery. Here you will find wonderful tropical plants, beautiful Italian gardens and the distinctive Martello Tower. Animal lovers should also visit ‘Fota Wildlife Park’, the 70 acre site is not like a normal zoo – all the animals roam freely. Kilkenny is popular tourist city and its numerous pubs have hosted many Stag and Hen events over the years. If you are fond of a pint or two, try taking a tour of Smithwick’s brewery – it’s an interesting visit in a town famous for its beer production. 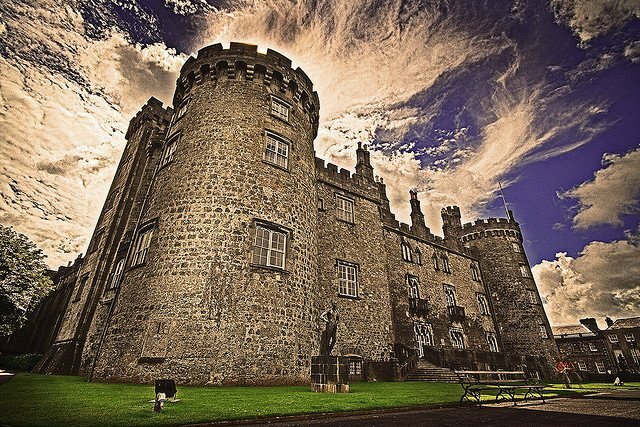 In the centre of Kilkenny you’ll find the large stone castle which has been a focal point of the City for over 800 years. 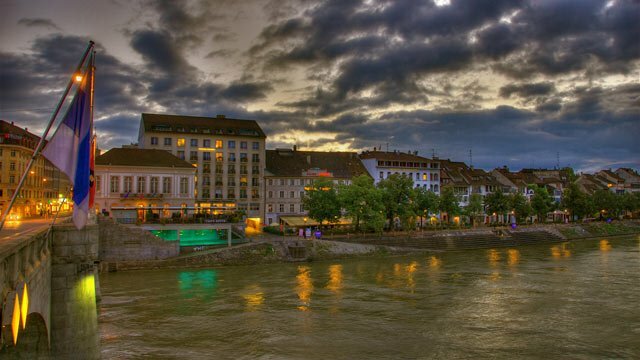 The city is also regarded for its vibrant cultural scene and the annual summer Arts Festival consisting of theatre, dance, literature, music and visual arts shouldn’t be missed. Galway is a medieval town on the west coast of Ireland which sits on the River Corrib between Lough Corrib and Galway Bay. It’s easily one of the most beautiful places to visit in Ireland. Once voted one of the world’s sexiest cities, Galway is known for its ancient architecture and also for its vibrant art and cultural scene. One of the best ways to explore the area is by boat. Try the ‘Corrib Princess’ which departs from Woodquay for a relaxing 90 minute cruise with an added commentary. Just outside the city of Galway is the Connemara National Park where you’ll find scenic mountains, vast expanses of bogs, heaths, woodlands and Connemara ponies. 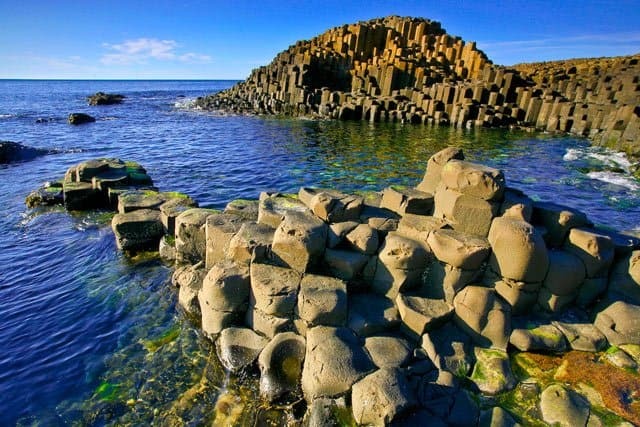 If you visit County Antrim in Northern Ireland you cannot miss Giants Causeway – 40,000 natural basalt columns formed by an ancient volcanic eruption. The site was named a World Heritage Site by UNESCO and also a National Nature Reserve. An area surrounded by mythical tales, the most enduring is the legend of Finn McCool. The Irish giant Finn is said to have created the Causeway after an argument with the Scottish giant Fingal. Other attractions in the area include a steam train which takes a journey to the Old Bushmills Distillery where you can sample some traditional Irish whiskey. 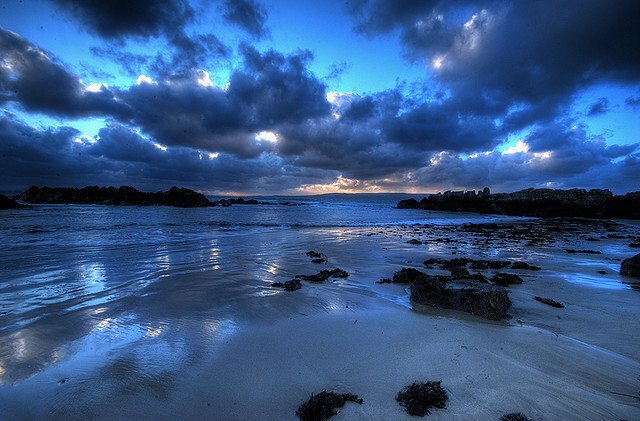 Donegal is an exceptional county filled with friendly communities and breathtaking views. Many visitors mention Donegal as their favourite area in Ireland and people travel from all over Ireland to explore the naturally beautiful surroundings. 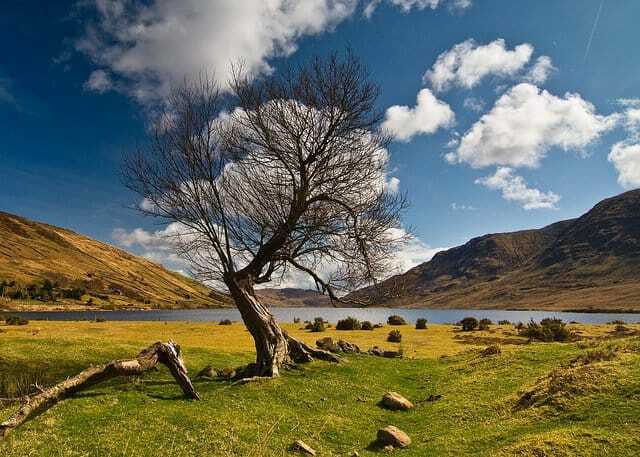 One of the county treasures is Glenveagh National Park which covers 170 square kilometres of beautiful woodland and mountains and is one of Ireland’s finest natural attractions. Here you will find rugged mountainous landscapes, sandy beaches, clear lakes and the wonderful late Victorian folly, Glenveagh Castle. Ireland’s most visited natural attractions seems to capture the heart of all her many visitors. The Cliffs of Moher tower 700 feet over the foamy waves of the Atlantic Ocean and make up some of the most ruggedly beautiful coastline in Europe. Here surfers brave the chilly waves below, nesting seabirds thrill wildlife watchers and enthusiastic walkers make the most of the unspoilt natural scenery. Also take your time to explore the rest of County Clare where the cliffs are located. 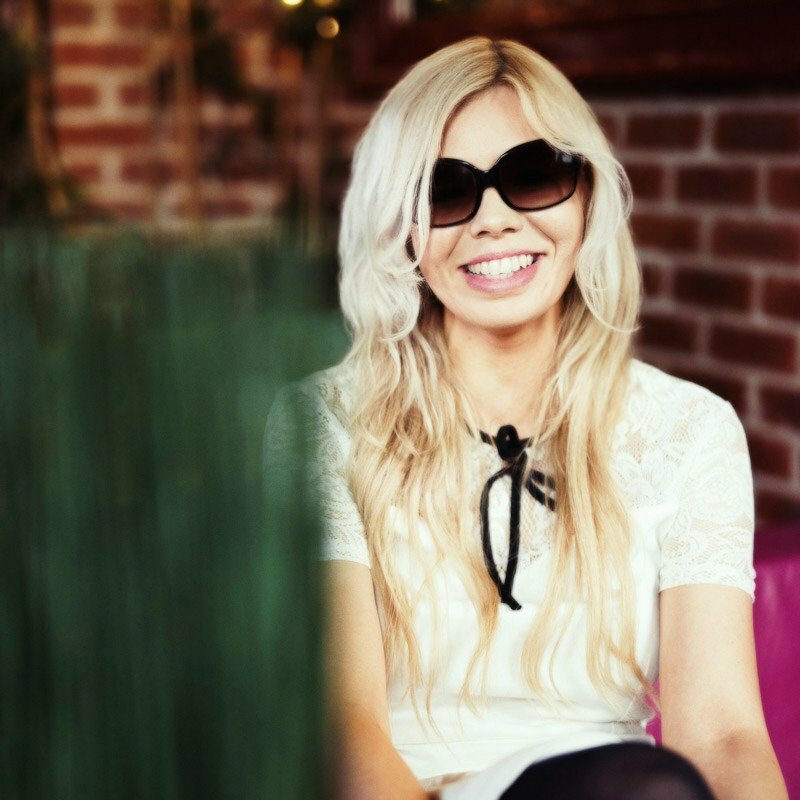 This is the place where a strong traditional Irish culture flourishes; explore the many pretty villages, Stone Age monuments, ancient churches, 15th century castle and stop in one of the many charming pubs to get your fix of traditional Irish music. 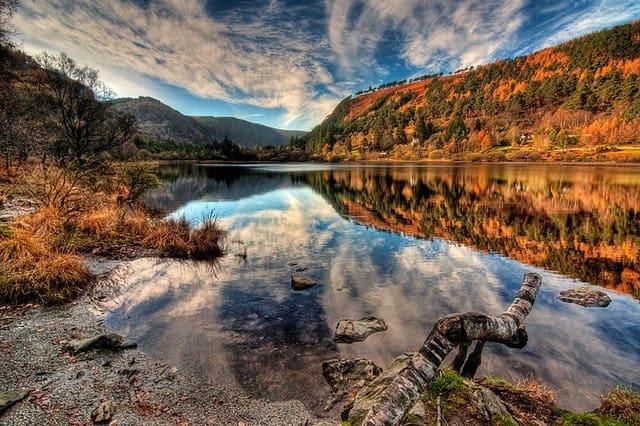 Located in a glacial valley beside tranquil lakes, Glendalough is truly beautiful and very photogenic. If you appreciate history or architecture then visit the ancient two round towers of St Kevin’s Church and a ruined cathedral. 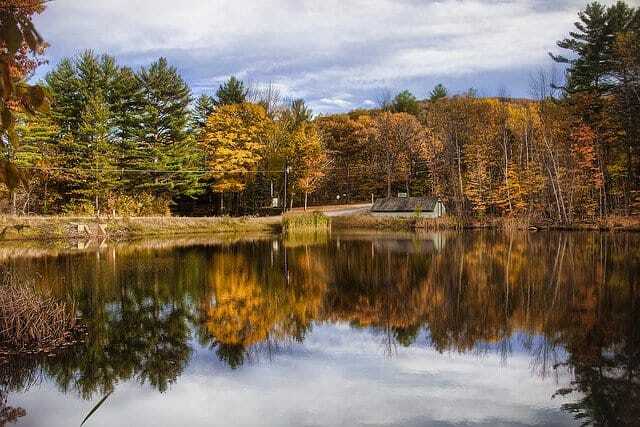 Nature lovers can also simply enjoy the walks along the trails and around the lakes. There are various trails on offer – shorter ones for those looking for a gentle stroll or 10 mile hikes across mountains for more serious walkers. 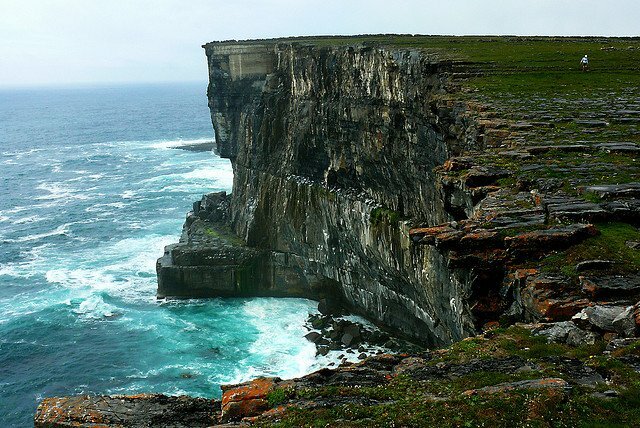 The Aran Islands are a collection of three islands which are nestled at the mouth of Galway Bay. The beautiful and isolated islands have attracted and inspired many Irish artists and poets over the years (including the leading artists Seán Keating and Liam O’Flaherty). Aside from the unique weather-battered landscapes other notable attractions include several Iron Age forts and Teampull Bheanáin which is considered to be the smallest church in the world. 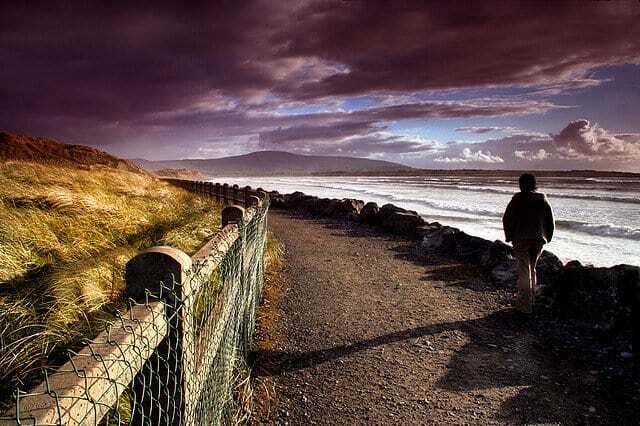 The scenery surrounding the county town of Sligo is extraordinarily beautiful, especially the coastline. The Knocknarea Mountain dominates the landscape and here you will find a 40 foot high stone cairn which is the mythical burial place of the legendary Queen Maeve of Connaught. Make sure you include a visit to Carrowmore – the largest stone age cemetery in Ireland and the village of Drumcliff which is the final resting places of the famous poet W.B.Yeats. Sligo is also a great area to try out some surfing – the Irish way! Of course, it’s impossible to mention all the beautiful places in Ireland in a Top 10 list. Still want more? Try the Mountains of Mourne a stunning granite mountain range in County Down, Dublin’s outdoor playground Wicklow filled with coastline, woodland and a sprawling mountain range, the wild beauty and haunting landscapes of County Mayo, the scenic unspoilt coastline of the Connemara Peninsula and the Cooley Peninsula and the Skellig Islands – a UNESCO heritage site off County Kerry’s coast which boast’s some of Ireland’s most important religious monuments. 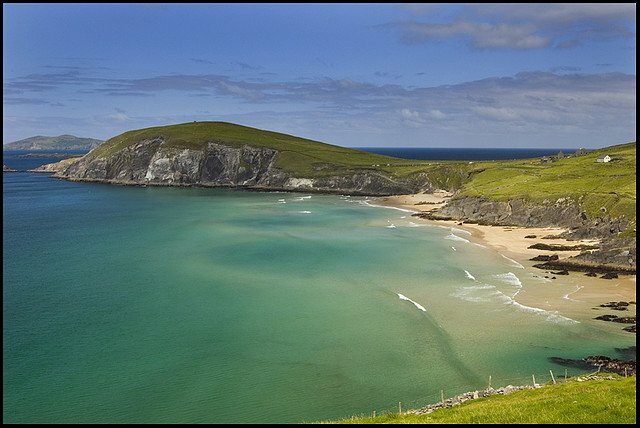 Enjoy the beautiful Emerald Isle! 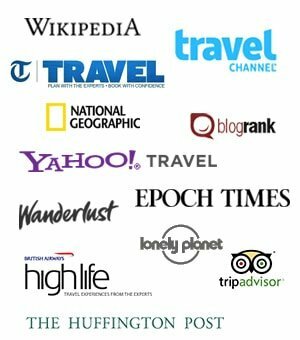 If you enjoyed 10 of the most beautiful places to visit in Ireland we also have the coolest hotels in Dublin. 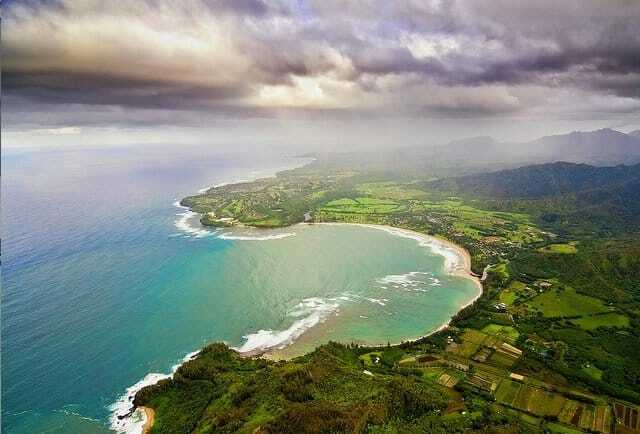 I like this country, very beautiful nature! 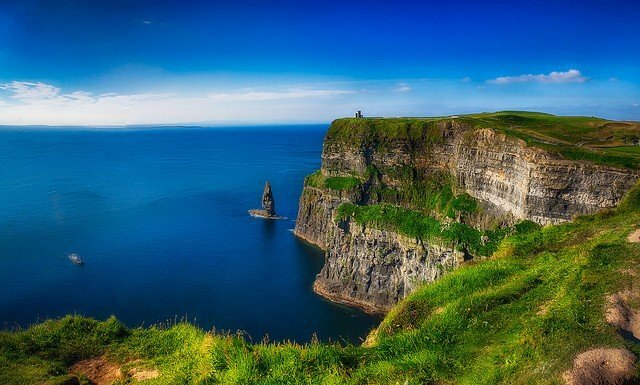 YES, it is most beautiful places to visit in Irland…Amazing photographs! As far as music and Vibrancy are concerned, The Irish have it over the Scots all day long. My Scottish friends tell me this. Also, Small Irish towns are painted in more vibrant colours compared to the mostly Scottish grey, which is more in line with the Irish Character. In my friend´s opinion, the atmosphere is more fun, which he puts down to the Calvinist streak in Scotland. However, The Scenery in Scotland is more dramatic for sure. We went to Ireland in June/July 2009. I fell head over heels in love with Ireland. I found the folks very friendly and welcoming. We loved Dingle, Castle with Blarney Stone, The book of Kells, etc. etc. Every time we plan another trip (have been to Germany and this summer it will be Amsterdam, Belgium, France) I keep feeling the pull of Ireland beckoning me. If I could afford to, I would go to Ireland every summer. Ireland is ok, but it’s not dramatic. At least not if you’ve seen truly dramatic places. The Kerry way is nothing special. But again, some people love it. I would suggest Scotland instead of Ireland. 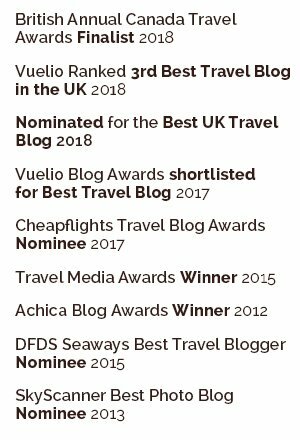 It has truly wild, beautiful, dramatic scenery, much of it still unspoilt, and it’s one of he EU nations that has “Freedom (or Right) to Roam” – ie, you can freely access the countryside (if you like walking), whereas in Ireland, you can’t (except for the designated walking trails which get busy in the summer). If you like green fields and little else, then Ireland is certainly for you, since that’s predominantly all there is, as well as coastline, which is nice in some places. The ancient monuments are nice but often get very touristy in summer. The Scottish seem to care more about preserving their wild areas than the Irish do. It all depends on what you like though. I’d hope that people can share their opinions without others taking offense at every little thing and resorting to vulgar comments, but alas, there are always uneducated morons out there. Sligo is a beautiful place. 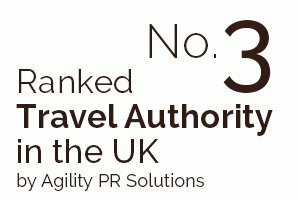 I’m delighted to see it on the list. them to my personal favorites! Scotland: A Few of My Favorite Things | Writing Prompts &Thoughts & Ideas...Oh My! Donegal and five finger strand in Malin head. besides being beautiful in itself the trip to Malin head from any of the larger towns (We stayed in Letterkenny) is extraordinary. A little more specific, Kerry, yes the ring of Kerry is beautiful, but when you are done go to Dingle. 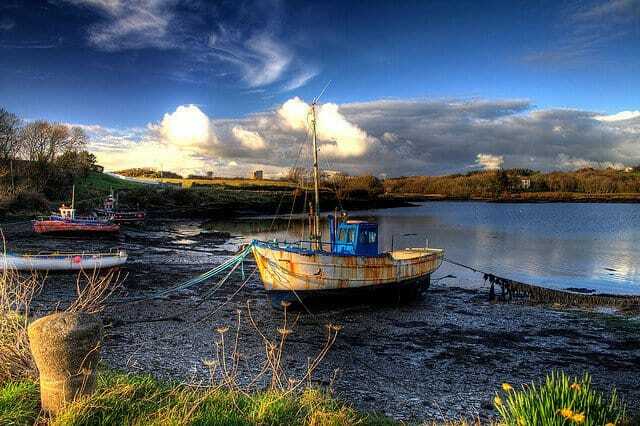 A beautiful harbor town with pubs full of music and countrysides full of scenery. If you go to Cork, checkout Skibbereen, Baltimore, or the beautiful Town of Kinsale. I could go on forever, but you get the point. My friend will be going to Ireland next week. I will share this with her. I will come back for more. Thanks! what do you think of Scotland..the highlands, the islands..compared to Ireland? I think Scotland is far more majestic and breathtaking and varied. I was disappointed with Ireland. I was expecting a much wilder, more naturally beautiful country. Instead, I found that what they call “forests” are mostly nothing more than monoculture conifer plantations – nothing natural, nothing beautiful about that. There are ugly, large, modern houses scattered all over the countryside, so that you get an urban feel where ever you go. There is no “freedom to roam” the countryside as there is in the UK, Sweden, Norway etc. Whats left of any beautiful, natural areas is generally just a small area and gets too busy in summer with tourists. What deciduous trees there are, are small, and, unlike the UK there are practically no large, stately trees. The National Parks are beautiful, yet they are small, and again – very few trees. I get the impression that the Irish government/landowners will do anything to make money – including destroying the very thing that makes Ireland a beautiful country – what’s left of the natural areas. That’s what you get when you let a bunch of greedy, materialistic, ignorant people run the show. I’ve travelled the world, I know what I’m talking about. You obviously are totally oblivious. Look up “Keep Ireland Open” and you’ll find out what “The Freedom to Roam means. There are nations in the EU that have freedom to roam the countryside – such as Scotland, Sweden, Norway etc. Ireland has NO freedom to roam. It only has designated trails. You can’t just hike across the countryside since most of it is private. It has become worse in recent years, with more rules an regulations. As for the conifer plantations you find so amusing, I suppose you think they are native to Ireland? There are too many of them,and again, do your research and you’ll find the devastating effects this is having on the environment in Ireland, and other nations that are planting what is known as a “mono-culture” plantation. In case you dont know what that means. It means all of same species. In this case conifers. Why am i bothering to even try to educate someone like you? Perhaps because you seem so pathetically oblivious. Sadly, I found that this attitude is typical in Ireland. And what’s worse, you get defensive about things you should instead be doing something to change and improves, instead of resorting to swearing and vulgarity. Educate yourself, and you will then be worth listening to! You seem a bit bitter, i think you need a good cup of tea and a nice sunset, maybe in a nice warm climate maybe Somalia or India, I think there are miles and miles of free roaming countryside. I have only been to Dublin so far, but your pictures really make me want to go back to see more!